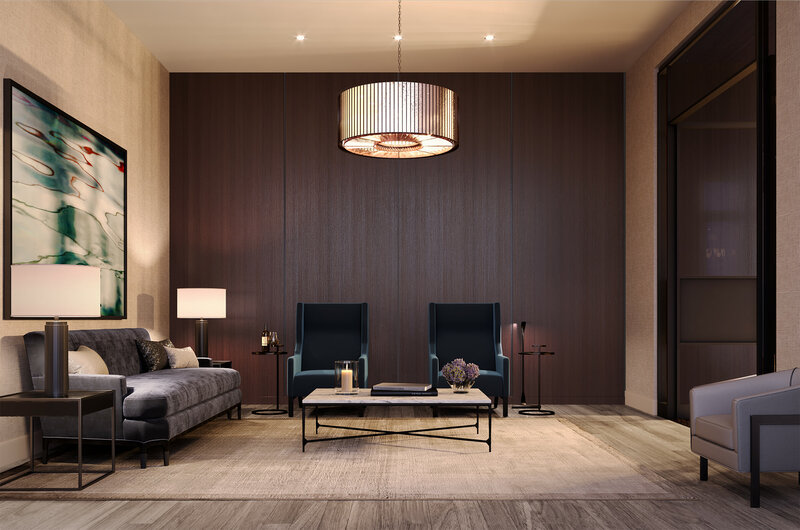 This spring the development team for Fifteen Fifty on the Park released new renderings of the building’s amenities as well as its restored landmark façade, which will serve as the residential entrance. The façade, which features intricate terra cotta detailing, fronted the historic Village Theater and dates to 1916. 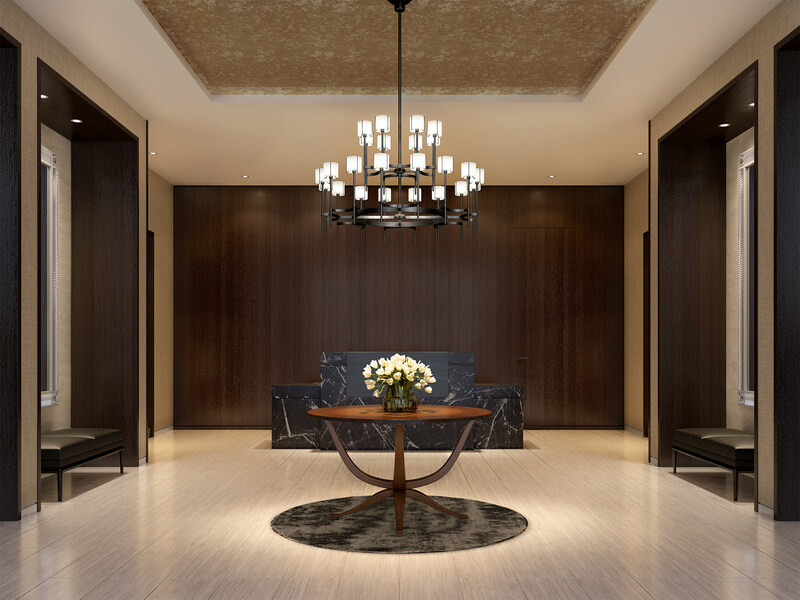 Renderings of the luxury amenities were also released. Giant picture windows on either side of the front door frame two of the amenity areas: the Lounge and Club Room. Residents will be able to enjoy both of these relaxing areas. 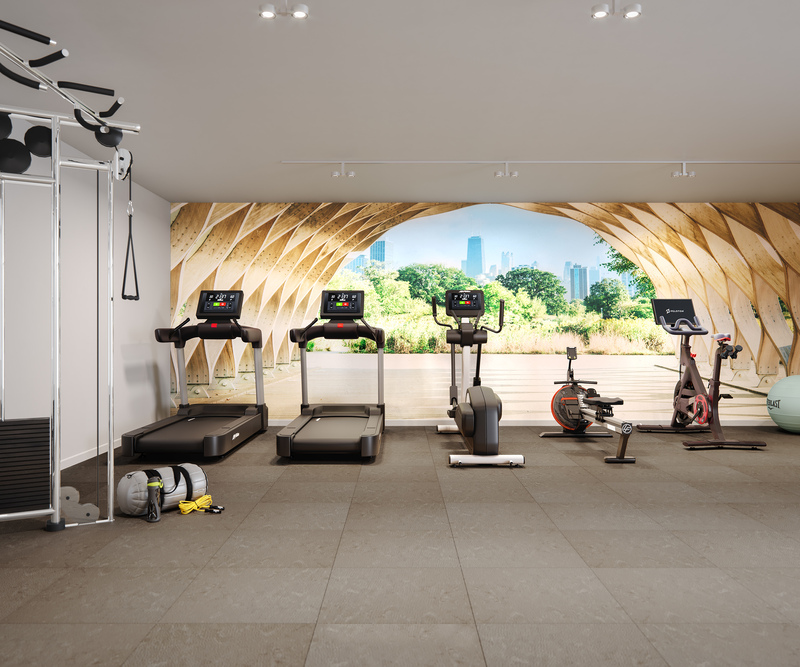 Additionally rendering for the state-of-the-art fitness center were released. As Fifteen Fifty begins to take shape, the transformation of a highly visible but long underutilized corner is coming into focus. 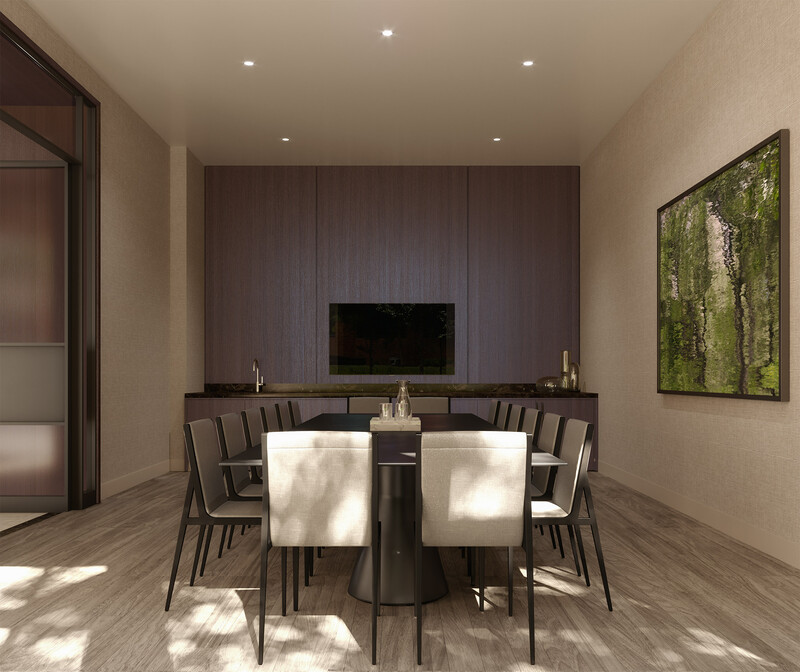 Now rising 10 stories above the intersection of Clark and North, Fifteen Fifty will provide not only luxury residences, but also as a gateway to three of Chicago’s most celebrated neighborhoods: The Gold Coast, Lincoln Park and Old Town. “This is an important corner. We felt a strong obligation to make it beautiful, welcoming and bright,” said Lee Golub, executive vice president of Golub & Company. In addition to the Village Theater façade restoration, other site improvements include new planter beds and trees that will visually expand Lincoln Park to Fifteen Fifty’s front door. The building is on schedule to deliver this fall.